For my physical security I got a small PC with ESXi running on it. 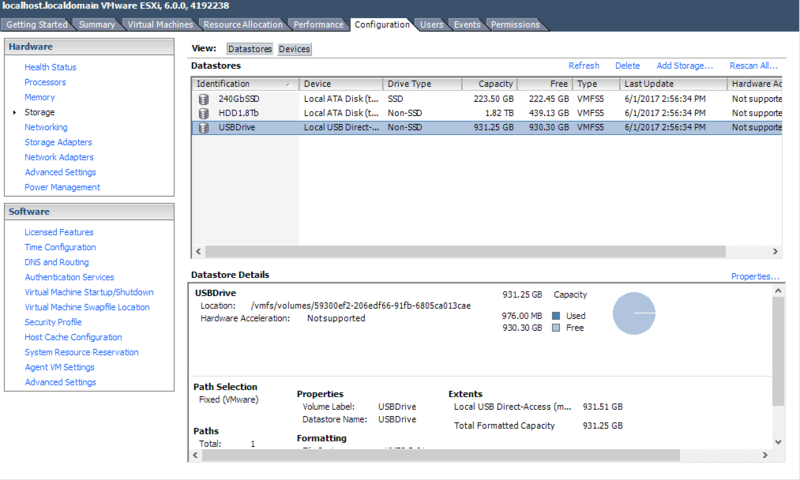 Now I needed more HDD space and I wanted to solve this with adding a USB drive to the PC for ESXi. Unfortunally I didn’t see it in the beginning as a datastore. But it’s possible ! 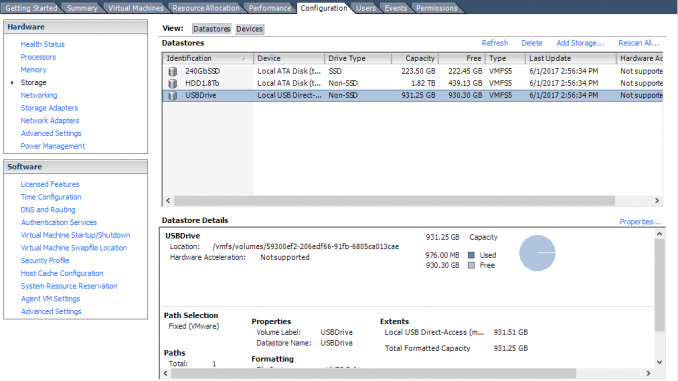 Get the USB Drive connected as Datastore. What are the steps ? First I enabled SSH on my ESXi host. Then I used putty to SSH to the machine. I didn’t see my drive. First you will have to stop the USBArbitrator for the USB Pass Through. [root@localhost:~] /etc/init.d/usbarbitrator stop watchdog-usbarbitrator: Terminating watchdog process with PID 33583 usbarbitrator stopped [root@localhost:~] chkconfig usbarbitrator off Now connect the USB Drive to the PC. And you will see the mpx.vmhba38 as a new drive. The drive has to be initialized.